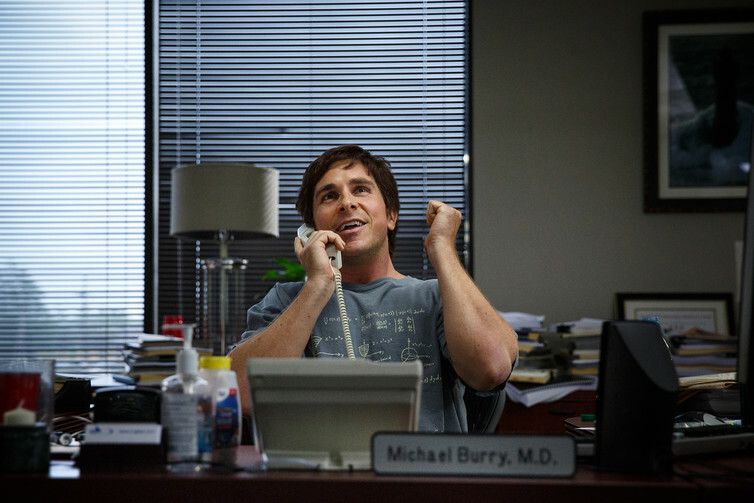 At heart, The Big Short – which just won Best Adapted Screenplay at the Oscars – is a parable. Much like Robin Hood’s comment on the greed of King John, it warns of the dangers that come from taking from the poor for personal gain and power. It is a simple story designed to illustrate a moral lesson. And when the moral lesson in hand is calling out the financial establishment, you’d think we should be pleased the film is scoring so many accolades. But this particular story has some issues. While the film attacks the moral architecture of Wall Street’s financial services industry, in doing so it continues to uphold the “virtue” and “sanctity” of the financial market. The outcome is another dramatisation of the events surrounding the financial crisis that leaves a sour taste and a questionable moral lesson. In this parable, King John is represented by Wall Street (but the film could easily be set in the City of London or any other global financial hub), representing the bloated greed of wealth, entitlement and privilege. Built on asymmetric contracts of debt, what was once a staid and secure industry that offered a stable funding structure for homeowners has now become a toxic web of sub-prime mortgage lending. We learn how the financial services industry has generated its vast wealth and power out of overestimating the public’s ability to repay their debt. At one stage, the film questions the moral line this raises between stupidity and criminality. “If stupidity is a crime, my brother-in-law should be arrested,” Ryan Gosling’s character retorts. Throughout we are told how complex financial instruments, such as Collateral Debt Obligations (CDOs), have a vice-like grip over society’s most vulnerable. We follow various hedge funds operators, investors and “garage” traders – the film’s version of Robin Hood’s Merry Men – who have spotted the precarious foundations of this ivory tower. Their intelligence, cynicism and “outsider” status spot a gap in the market; one which, if they’re right, will wreak havoc for many millions of ordinary, low-income members of society. As in the Robin Hood parable, they take it upon themselves to take from the rich “fat cats” – but this is where the parallels with Robin Hood end. We’re told at great lengths of the costs this systemic and reckless form of gambling has for many individuals. Brad Pitt’s character, a “reformed” ex-Wall Street banker now living a renewed life of earthy ethics and simplicity, serves as a moral compass to remind the audience of who is paying the true price of this greed and excess. In its conclusion, the film highlights how few individuals have been held to account. But the question of individual culpability fails to articulate the systemic extent of market capture that produces a unique brand of aggressive individualism and profit making. This is a story that seeks to challenge how the financial service industry has succeeded in privatising wealth yet socialising risk – and yet the film upholds the sanctity and virtue of the financial market. The principal characters are, just like their Wall Street counterparts, market actors. They all play the same game. The only difference is that by the end of the film their actions are made legitimate and their gamble rewarded in the form of profit. The Merry Men of The Big Short themselves adhere to the logic of the market; they make a high-risk play which yields a great return. In the financial services industry this is everyone’s dream. It is a competitive landscape that rewards a particular type of high-risk and combative intelligence. The market does not reward sheep, but selects and bestows wealth on leaders. In challenging the dominant assumption of housing market growth and betting on a downturn, these Merry Men have pitted their wits against the market, have been ridiculed for their stupidity and yet eventually they stand victorious. As an audience, we are being asked to follow and invest emotionally in their market strategy as if it somehow fixes the harms pressed onto those at the bottom of the complex CDOs. In essence, their actions are no different to those of the Wall Street “fat cats”. They may not have structured these instruments or traded in them, and their outsider status seemingly insulates them from the taint that infects bankers. But the entire premise of the film is one in which seven men bet on the destruction of livelihoods and win. By asking us, the audience, to “be on their side” and follow them through the journey, the effects the financial services industry has on our everyday lives remain fundamentally unexplained. It is a parable in which Robin Hood steals from the rich and keeps all the proceeds for himself. Brad Pitt reminds us of the social costs of this wealth and fortune, but the sheen of Hollywood glamour sticks. Rather than bringing the viewer closer and increasing a collective understanding of how we are all inextricably linked to this high-stakes world of greed, aggression and collusion, the film legitimises repatriating private wealth. And those who are paying the highest price are the ones who contributed the least to this crisis . Without a greater focus on these social costs, as an audience we are in danger of becoming further removed from understanding the true causes and ongoing effects of the financial services industry. The “true story” of The Big Short is entertaining but, much like The Wolf of Wall Street, it leaves a sour taste and unanswered questions. In fictionalising these events in this manner, the danger is that we come to view the lives of the wealthy and their actions through the same “soft focus” lens of fiction that they view ours. Tagged Alex Simpson, bankers, City of London, Collateral Debt Obligations, criminality, financial market, Robin Hood, The Big Short, traders, Wall Street. Bookmark the permalink.